I live on an olive farm in the south of France. Our property and its 300 olive trees have been an on-going source of inspiration for me and my writing for more than two decades. Four books (The Olive Farm, The Olive Season, The Olive Harvest and Return to the Olive Farm) recount episodes from my life on the farm while two others, The Olive Route and The Olive Tree are the result of a seventeen-month solo journey I made around the Mediterranean in search of the history, the secrets and the mythology of this most sacred of plants. The olive tree and the oil that is pressed from its small stoned fruits have been the cause of many wars; olive culture and its trading earned ancient seafaring peoples shiploads of gold that was used to found empires. The fabulous city of Carthage, situated in modern-day Tunisia, was built by the Phoenicians on money earned through trading, and much of what they traded was olive oil. The Romans partially paid their soldiers in olive oil. Greece and Rome created a slave trade out of Africa to man their massive olive estates. King David hired armed guards to protect Israel’s olive groves as well as the warehouses where the nation’s precious oil was stored... I could cite stories from now till next year detailing the importance of the olive tree in the lives of Mediterranean people, a dominant weave in the historical tapestry of those who live on the banks of this shimmering sea. 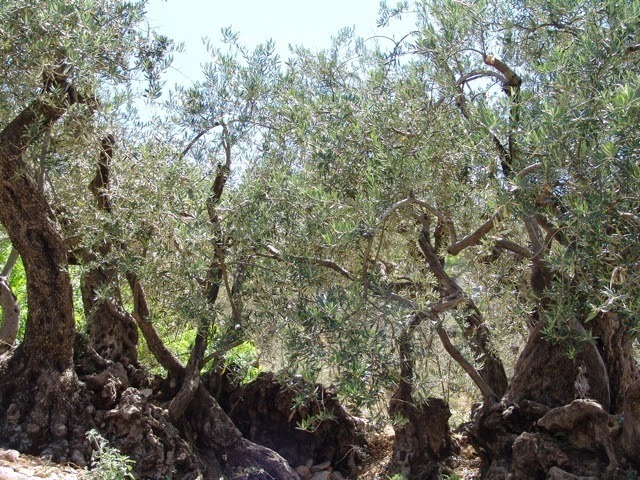 One of my quests during my Med travels was to try to discover who, which nation, first cultivated the olive tree and pressed its fruits into rich golden oil. Who first plucked those bitter drupes and thought to squeeze them into an oil that has become a food, a cosmetic and a medicine? Olive oil was described by Homer as ‘Liquid Gold’. The Greeks jealously claim it as their heritage. The Israelis believe they own this ancient tradition. While the Phoenicians were largely responsible for the transportation of its agricultural knowledge to all points across the Mediterranean and even sailing beyond the Pillars of Hercules out into the Atlantic Ocean, turning both north and south to the wilder coasts of Portugal and Morocco. I like to imagine that, as well as the tall clay amphorae brimming with oil they were carrying on board their oared ships and the horticultural knowledge they were offering to barter, those vessels might have been chock-a-block with young silvery trees waving in the winds, rather like sea-faring nurseries. There are some who argue that perhaps the Minoans of Crete were the first to create perfume, which they sold to the Egyptians to place in the tombs of their Pharoahs, by infusing olive oil with herbs and scented plants. Later, in the first century AD, Pliny the Elder (who died in the eruption that destroyed Pompeii), boasted that southern Italy produced the finest olive oil in the world. Of course, back then his land was not Italy and the 'world' to which he was alluding was the Mediterranean basin. I have found clues and several plausible answers to my question, but no water-tight identity. However, it seems more than reasonable to assert that the Middle East, in particular the swathe of fertile lands between what today is the Syrian-Turkish border all the way through Lebanon, Palestine, Israel, Jordan, to the coast of Aquaba across to Eilat and into Egypt, gave birth to the industry that today has become a cornerstone of the Mediterranean diet and one of this region’s most lucrative comestible businesses. These were rich lands, warring lands where the tree of peace grew in abundance. It still grows in these parts in abundance. It remains a vital part of these countries’ diet and economy, but it has also become a weapon of war. I began my seventeen-month quest in Beirut, the capital of modern-day Lebanon. Serendipity put wind in my sails and within my first two or three weeks on the road I had discovered in the mountains up behind the ancient port city of Byblos, two tiny groves of 6000-year-old olive trees. They are not wild trees, these are cultivated trees, and still fruiting. This is one tree. Its central trunk has disintegrated over the centuries. They were planted on manmade terraces bolstered by dry stone walls, which is a very common sight around the Mediterranean and is one of this region's oldest methods for preserving water, for keeping the soil irrigated. Standing alongside these sprawling ancients was an epiphanous moment for me. I had been hoping that my quest might unveil clues, facts, witness statements that would take my story back 2,000 years, but SIX thousand... This put a whole new perspective on history. These trees were planted by someone or a group of farmers before western man had an alphabet, before we could read or write. None of the three monotheistic religions – Judaism, Christianity or Islam – had come into being at that stage. Those trees gave me a benchmark. What if they could talk, I asked myself. What stories could they tell me? The history of the Mediterranean, was my answer. In the light of this extraordinary find, I set out to trace the eastern basin of the Med, followed in book two, The Olive Tree, by the western Med. 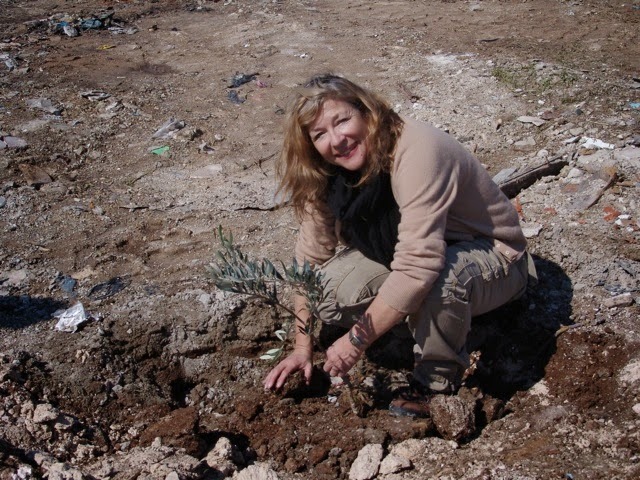 That first book, The Olive Route, ended in Palestine/Israel where I hooked up with a group of Jewish activists who took me into the West Bank to plant sapling olive trees on farmland that had been destroyed, uprooted by Israeli extremists. The trees were funded by these peace-seeking Israelis, most of whom were from Tel Aviv. We travelled in a convoy of coaches, passing through checkpoints until we found ourselves in a small deserted Arab village riven in two by the Separation Wall. By the time we reached the groves where the Arab olive trees had been uprooted and the acres had been turned into a rubbish dump, we probably numbered over three hundred. Men, women, children and dogs. It was March, Spring, almonds in blossom, and the sun was shining. Our trees were perhaps six months old. It was an unforgettable day. It was history in the making, peopled by those living on the ground in a time of war. Only a dozen Arabs were allowed out of their village for two hours to plant with us. They arrived in a broken-down van laden with food prepared by their women who we never even glimpsed. We picnicked in the sunshine. Speeches were made. Fortunately someone translated for me. I would have travelled on from the West Bank into Lebanon to complete the circle, to the village where I had begun with the 6,000-year-old trees, but this is a war zone; I could not pass through. The first seeds of the next millennium of history were being sown. History, like war, has many faces. I hope the trees you planted are still there! This sounds like a fascinating adventure. 6000 year old trees? As you say, what stories they could tell. I had no idea trees could live anything like that long. Thank you, Carol! Thank you, Carol, a wonderful post. 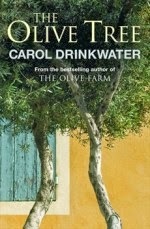 I'm also amazed at the age of those olive trees, not just as trees but as cultivated trees. What a link with the past that is! I was hoping the same thing, Sue. Carol, your post is erudite, empathetic and lights a fire in the imagination. 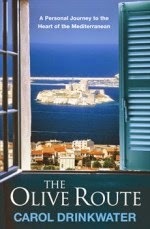 I have a copy of The Olive Route in my 'to read' pile and am saving it as a treat and really looking forward to it. Many thanks. As far as I am aware, Sue, the trees we planted are still growing in the resurrected Palestinian grove. The Lebanese ancients are definitely still there. Since The Olive Route was published, an awareness has been brought to Lebanon and now the oil from the ancients is marketed and sold abroad. I understand that the revenue goes back into maintaining the hillside and the trees. Wonderful article. I recall your accounting of it in the books. How remarkable that those ancient trees are still producing and how very fortunate that the caretakers maintain their space so they can. How odd that the tree of peace has survived in a region of war for so long. Hail the olive!! Thanks for sharing. I did so enjoy this post! Hope the trees you planted are still growing. I love this post. I planted a couple of olive trees here a few years ago, and wonder sometimes what their story will be. Who will pick the first fruit a few years down the line (probably, hopefully not me). Some of the best advice given to me by an old expat was that you have to 'plant your trees' where you are rather than longing for somewhere else or waiting for tomorrow. I hope your sapling thrives, Carol.